PiO, I think you should have added "to me" at the end of your statement above. I did not realize you were not a collector. My post saying it does have historic value meant it is my opinion that it does. It's not or never will be in the IV-S league or price range. I'm sorry if I gave you that impression. Maybe your right, to most people it will not be viewed historically. You are always welcome to donate it to the RJW Collection where it will have historic value in the context of the collection. 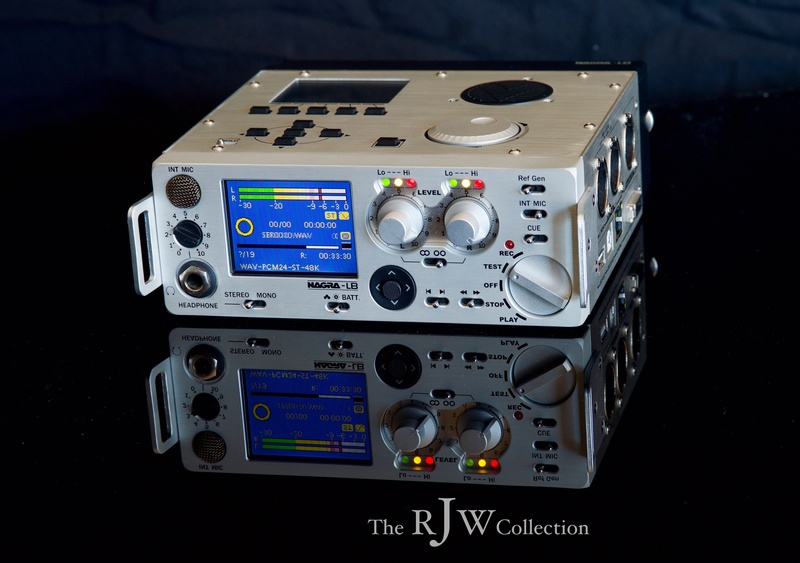 Thank you very much for sharing your Nagra III with Jwsound. I appreciate you posting this information very much. I am a 61 years old man. Compared to you (and Vienna) I am a little Nagra and Stellavox collector. I am fascinated by your collection and specially by unknown spy recorders. My english is poor and it' s difficult to read and understand all . A good french translation should be a pleasure but I know it's a big job. What about "nagra fans" in your country ? Do they talk each other and exchange what they know ? Im very sorry Michel I miss your 1st post and did not comment. I just came across your post today by accident. Thank you very much for posting. 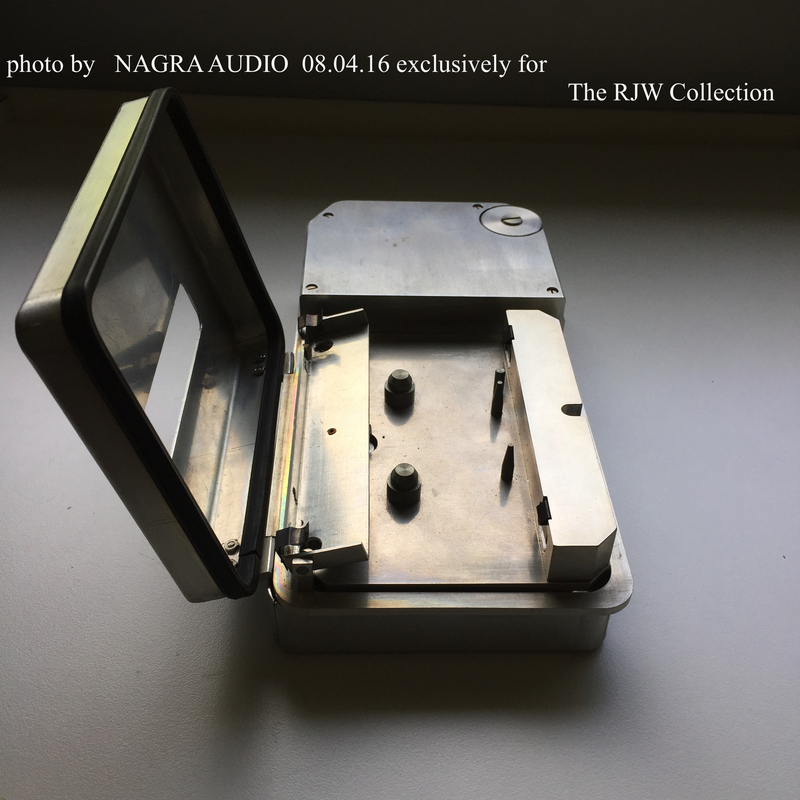 There are very few Public Nagra collectors. 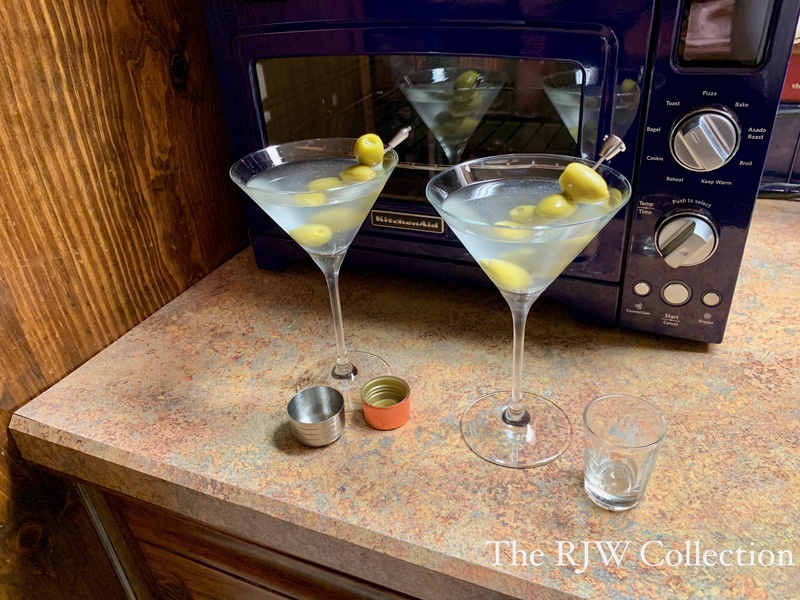 As far as I know this site Jwsound is the only place where Nagra's are talked about between collectors and others in the US and the world as far as I know, do you know of any in France ? If its easer for you just post in your own language and I'll do the same if that is ok with Jeff? Je suis vraiment désolé Michel, ton premier post me manque et je n'ai pas commenté. Je viens de tomber sur votre message aujourd'hui par accident. Merci beaucoup d'avoir posté. Il y a très peu de collectionneurs publics de Nagra. Pour autant que je sache, Jwsound est le seul endroit où l'on parle de Nagra entre des collectionneurs et d'autres aux États-Unis et dans le monde, autant que je sache, en connaissez-vous en France? Si c'est plus facile pour vous, postez simplement dans votre propre langue et je ferai de même si tout va bien avec Jeff? I am still very proud to have such a well made and remarkable device, but it unfortunately does not serve me that much. And this is my main criterion regarding gear. PiO, if this Nagra has no value for you just give her to me 😄 I’ll give her a good home. Although not for Nagra III, this ATN-2 is 10th unit ever made. I guess I’ll have to check the serial numbers of all my accessories too! I also send you a picture of a cassette recorder prototype that I found at my father home. 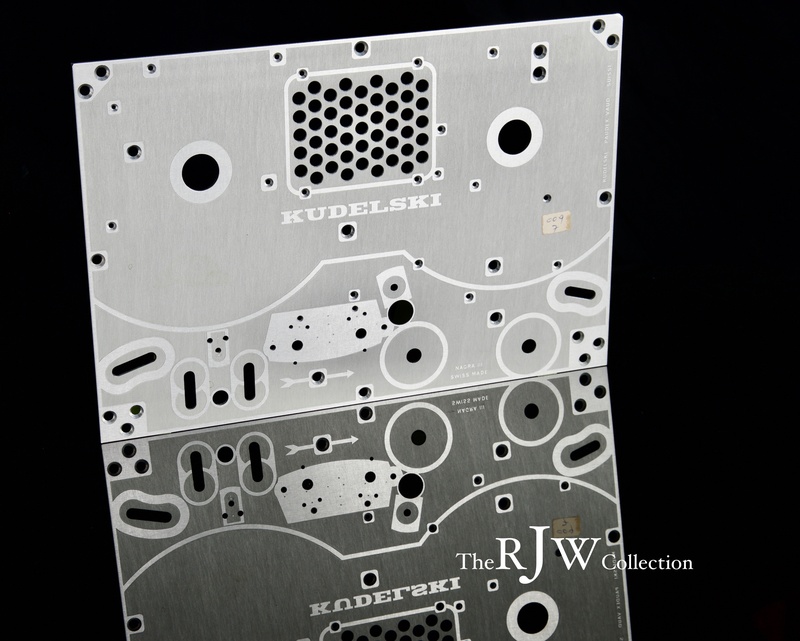 Stefan Kudelski really had a way working with aluminum like no other manufacturer. All products look fantastic shown like this. To think I sold my Nagrafax, sold my IVJ, never could afford a Nagra T. All sold to buy the rarer SN's JBR Nagra II etc. figuring someday I'll buy them back because they were more common. Now, with Nagra prices going up weekly I may have made a big mistake thinking I could always get them back. The 4s is very popular with Nagra High-End audio equipment, isn’t it amazing, what a run that machine has. 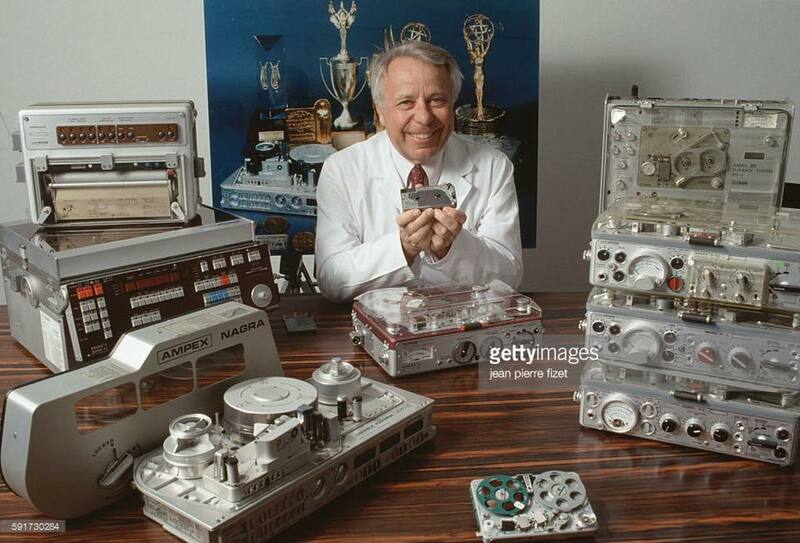 I predict there will be a big market for what's left of the used Nagra IVS’s in the future. Supply and demand. 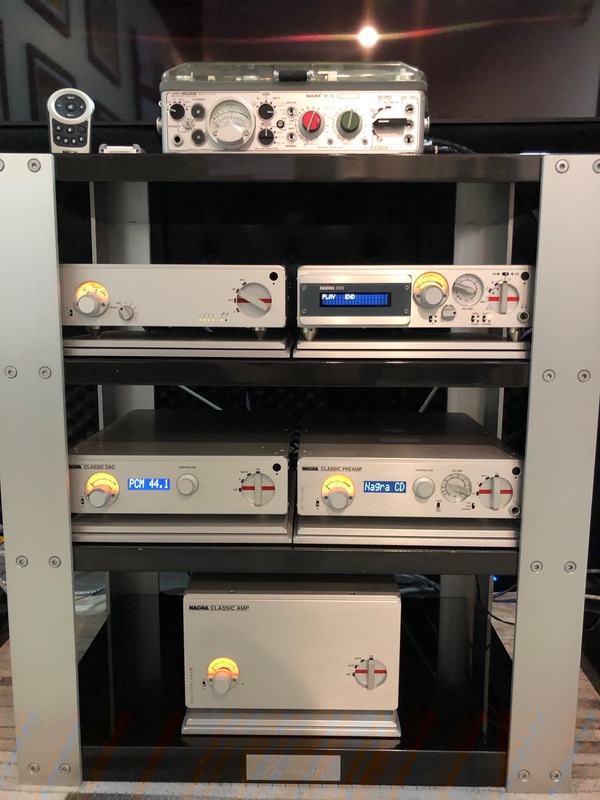 So many pictures and videos on Nagra Audio's Facebook page shows the Nagra 4S top front and center. Think about it how could you ever own this ultra high-end Nagra Audio system without a 4S That is why people are paying 5 6 7,000 for them. I think that's great news for Soundmen, you will be making out pretty well with your vintage Nagra 4s if you wanted to. There is also a company that is remaking the large reel adaptors for about a grand. 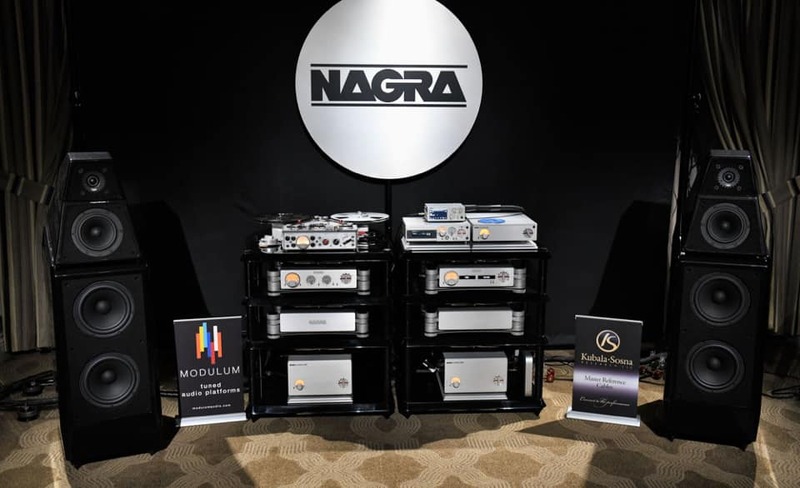 Does anybody have one or know someone that owns one of these high-end Nagra Audio Systems? They have been winning all sorts of awards. What a legacy Stefan Kudelski has left behind. As a side note, if the name Cellier rings a bell, Claude Cellier is the son of the late ethnomusicologist Marcel Cellier, who was indirectly responsible for the IV-S, as he asked Stefan Kudelski for a stereo version of the Nagra for recording music. He later used that for recording f.ex. the fabulous bulgarian musicians of Le Mystere de Voix Bulgare. And Georghe Zamfir (you can´t get it right every time...). 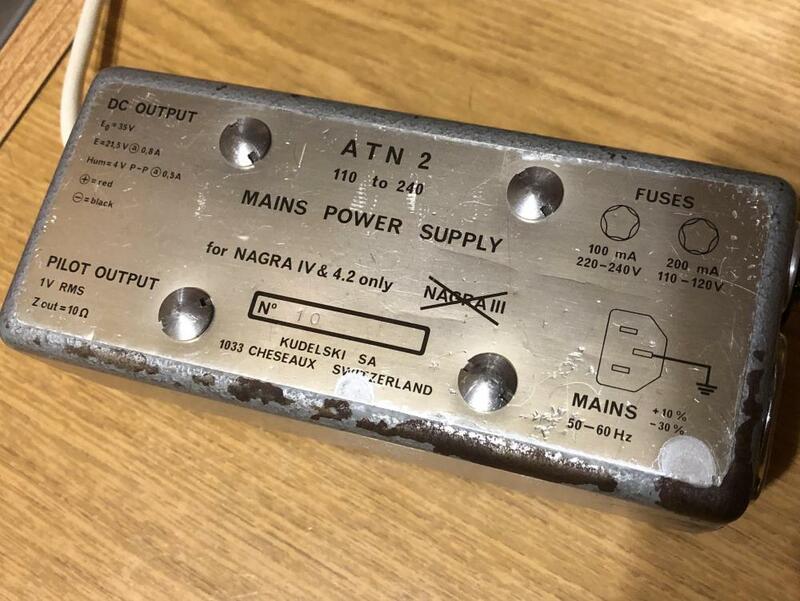 No excursion, Stefan Kudelski is Nagra… thanks for posting the story. This has been a fascinating thread to read from the beginning. Lots to learn and full of great stories and Nagra equipment photos. Is it a Nagra SN in the opening credits of Klute? I'm big fan of the trilogy Pakula did with Gordon Willis. Thank you Raquirk, I appreciate your comments and your interest. 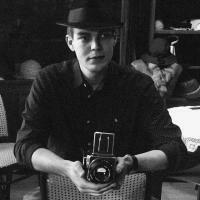 Can I ask how did you find this thread on Jwsound? That was not a Nagra SN in the opening credits of Klute shown below. It was the fourth recorder in a series of covert recorders made since 1957 Its was the first in this series to have a name on the recorder. Below is a short writeup that I have done. Size including controls w h L 2 3/4 x 1 x 5 1/8 inches Weight 10 1/8 oz. Two different models EDI M60 mono version and M-75B as a stereo version. The Type 4 recorder in this series of CIA recorders is very similar in construction to the Type 3 recorder. The company did not provide a prototype or even a picture of the new 1967 model to show for the magazine as the article states. There were two new models for 1967; there were the EDI M60 "mono" version and a mistakenly called B60 stereo version. The correct model number is M-75B for the stereo version. 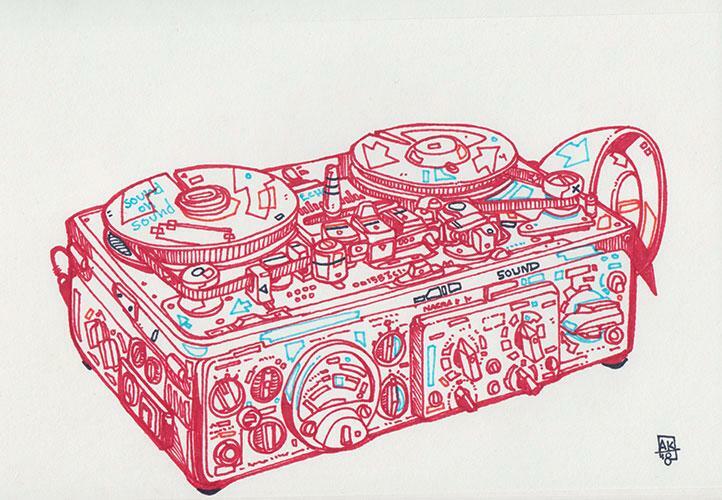 That is this type 4 recorder. It is not known if the CIA continued to use this model. Now a name appears on the recorder for the first time, and the recorder is now made public. This may confirm that on this date, July 1967, they were no longer used by the CIA since it shows the secret model and the new models are now being sold to the general public. The manufacturer is now allowed to produce and sell these recorders publicly. Now the manufacturer has to name the new recorder if they want to sell to many different consumers, so names on these early recorders may have been a sign of who and who was not using them. There were other improvements on this public model. Not only was it dressed up cosmetically with a two-tone finish, but it also added features over the previous model like an auto stop. That isolated silver pin on the right front of the deck was used in conjunction with the ground circuit as an auto stop. A piece of 1/4 inch metal tape would create the circuit using that isolated pin and ground from the head, causing the tape to stop. Also for the first time, a removable remote on/off switch that is attached to the microphone/ headphone plug. It's clear these models were evolving by what was tried and tested through the years. 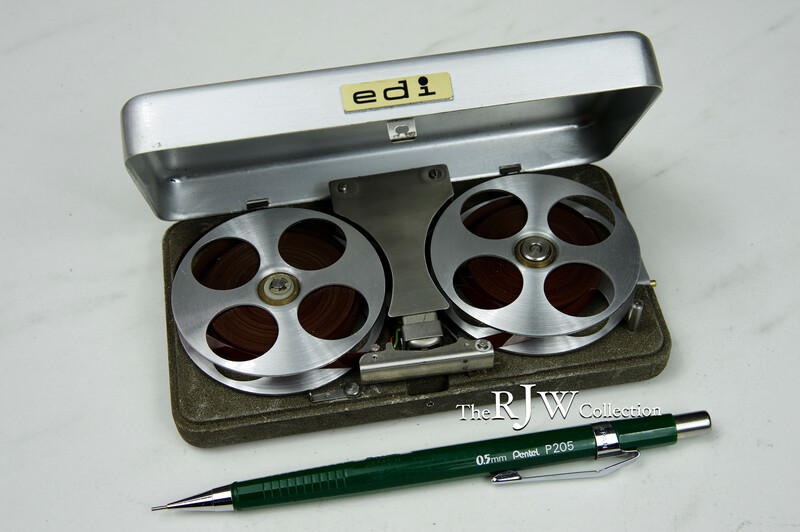 This Type 4 recorder was featured in the 1971 movie Klute with Jane Fonda and Donald Sutherland. Thanks JBond for the detailed answer. Even if not Nagra I love the design. I came across this thread twice. Once when searching for info about using nagra III and 4.2 and then when I was looking into getting one for looping. I've got a Nagra SD, had it since they came out, which I love and still use all the time to record music and for field recordings. I love its low noise floor compared to the Tascam recorder I had before and the HHB Minidisc recorder I had before that. I'd like to get another one so that I can get the glitched screen on mine repaired. I started recording to 4 track in cassette in the early 90's and still do, though I now use a AUDIO-TECHNICA RMX64 rather than Fostex I started with. I use the computer for editing and mixing. I use various tape echoes (echoplex, space echo, fulltone) but nagra is closer to NASA than those machines though I love what they can do. I still use Tweed era tube amps as well. But I think it's time I got a tape recorder that's built to last. Currently I'm looking for an IS model due to the smaller & lighter size as I record a lot on location. He did the cover of my last solo album based on a photo of Monument Valley and the portable modular synth I had. Ahh, very nice what your friend did, Blue and Red Nagras. Now, what does that remind me of … oh yeah this picture. Wow, some nice drawings from your friend! Never seen anything like that. 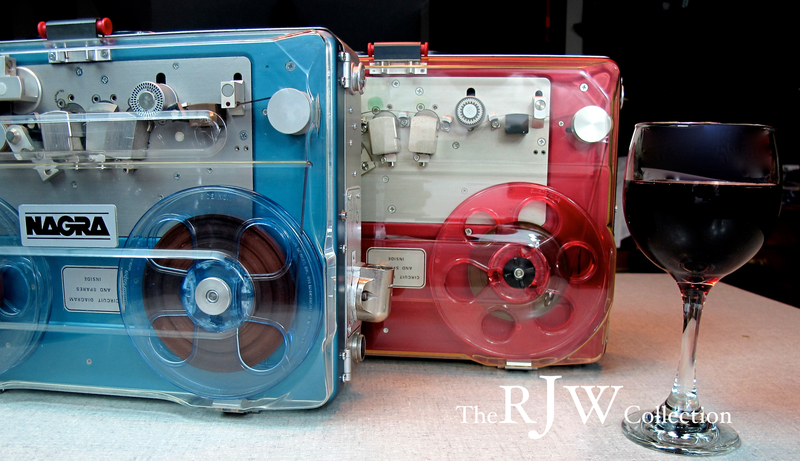 Likewise the Nagra’s with the red & blue covers. JBond, was that a special issue of some kind from Nagra, or did someone make those custom? Scott, Nagra made anodized Blue Nagra E's only for Radio France. Red for everyone else as far as I can tell. 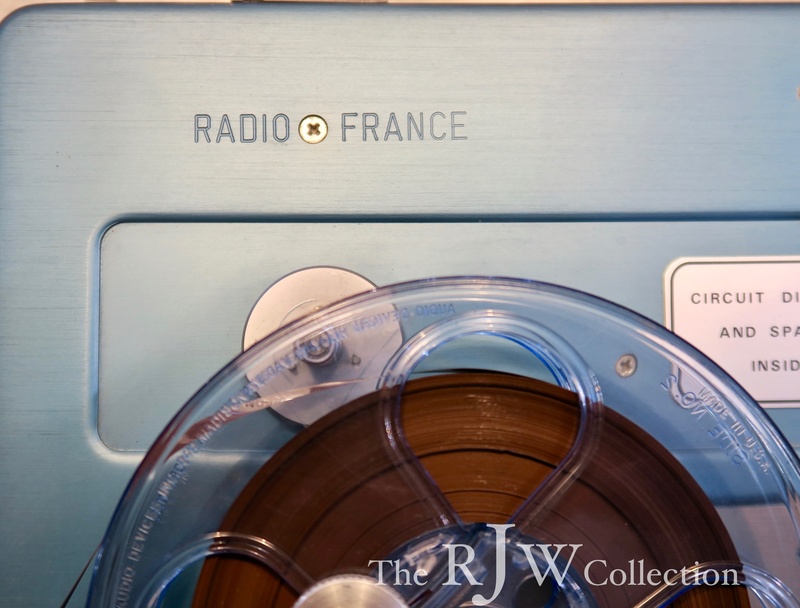 Took me by surprise when I first saw the Blue Nagra E, thinking someone must have re-anodized the deck in blue but Radio France is machined stamped into the upper left deck corner as shown. I bought this from a seller in France. Fascinating. Thought that I had seen just about everything in the world of Nagra. I guess not! Looks to be in very nice condition too. A lot of those field recorders used in radio reporting really got beat up. 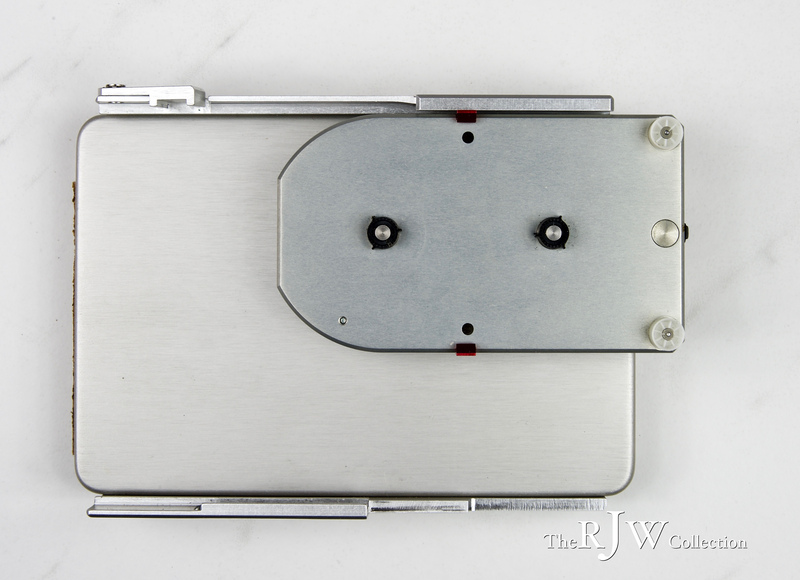 Last week I picked up a NOS Nagra III deck plate, very reasonable. I thought why not, that would make a great addition to my collection. A Kudelski picture to hang on the wall. 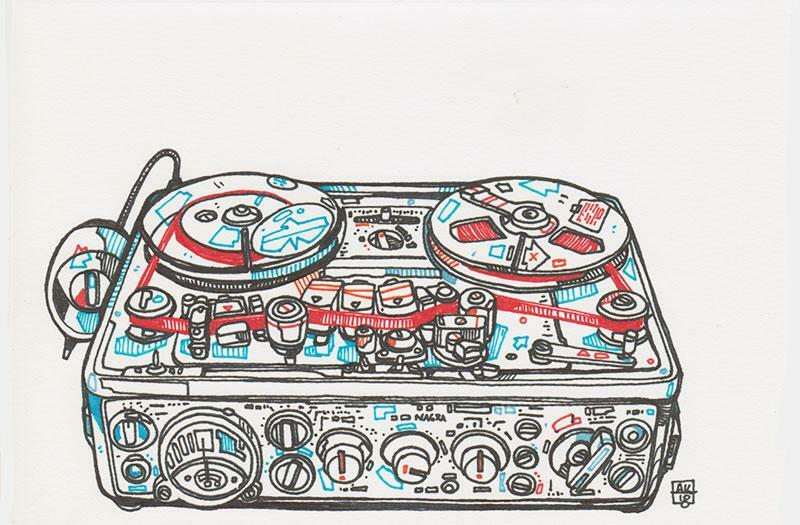 Nothing says, “KUDELSKI” like the Iconic Nagra III reel deck, deeply acid etched by Stefan Kudelski. 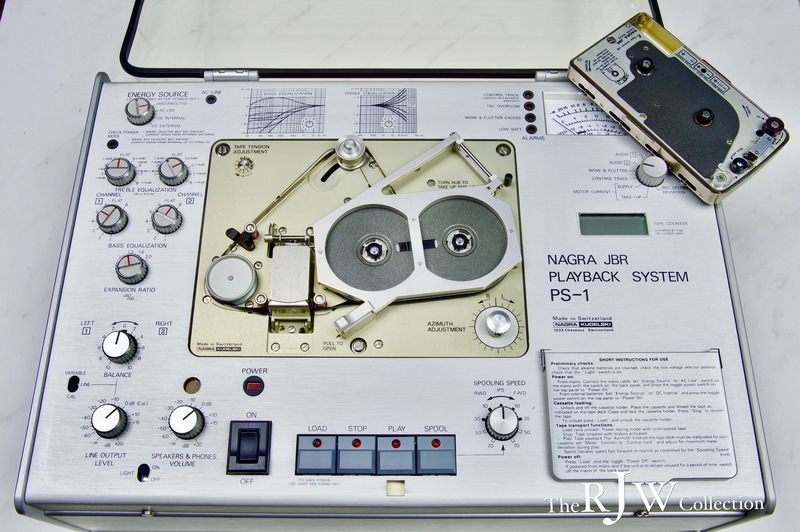 Designed in 1957 the Nagra III was a major change in the way movies were recorded. Stefan Kudelski lives on in so many ways. Both the deck plate and the reflection reflect the accurate color and depth of the etched artwork on the Nagra III deck plate. The prelude to the Nagra 7 the LB is one of my favorite Nagras. It’s small, compact, loaded with all kinds of options (some obsolete). Nice looking with all manual controls, dual screen, led level lights, built-in microphone, speaker etc. It was too close to the improved Nagra 7 with all the controls on the touch screen for about the same price of the LB $3500.00. It was assembled in China to keep the price down. That’s ok, it’s still a Nagra, doesn’t mean it's cheap being assembled in China. Just think how much it would have been if Nagra put it together. With the Nagra Seven there was no longer the need for the Nagra LB, especially with the same price tag. Oh yeah and the case is all machined aluminum, no plastic. I was lucky enough to get this one for 1100.00 a couple of years ago. I was told it was bought for a project but the project was canceled and they no longer needed the recorder. The recorder does not look used at all. I wonder if there is a time used menu on it? I had to yell to get the led level lights to come on for the picture. "the Nagra LB, one of the coolest looking Nagra recorders. 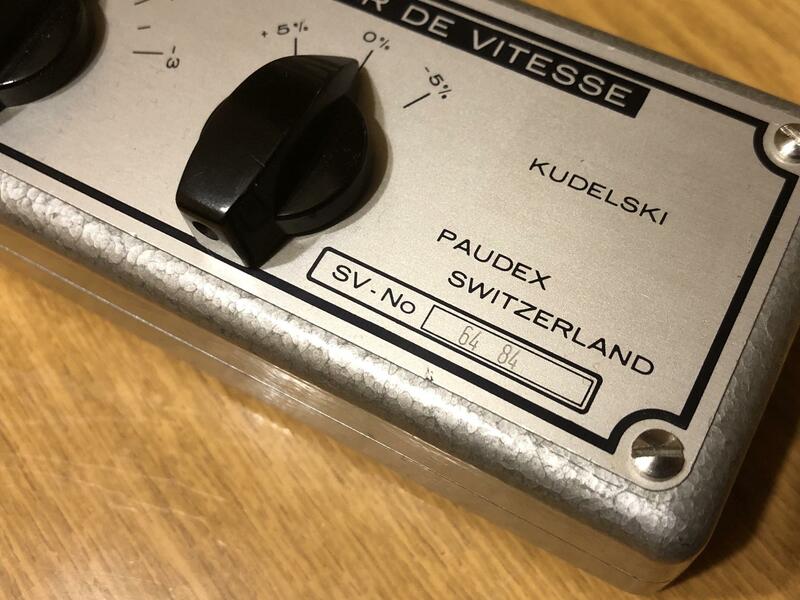 Small, compact, hints of old and new, nice and busy loaded with controls and options"
Post 466 of Nagra Stories provided by Dejan Ceko from Serbia is very interesting how movie sound is created or enhanced after a movie is recorded and really explains a lot. I never knew that. A very rare piece of Nagra and FBI history is up for sale on eBay. 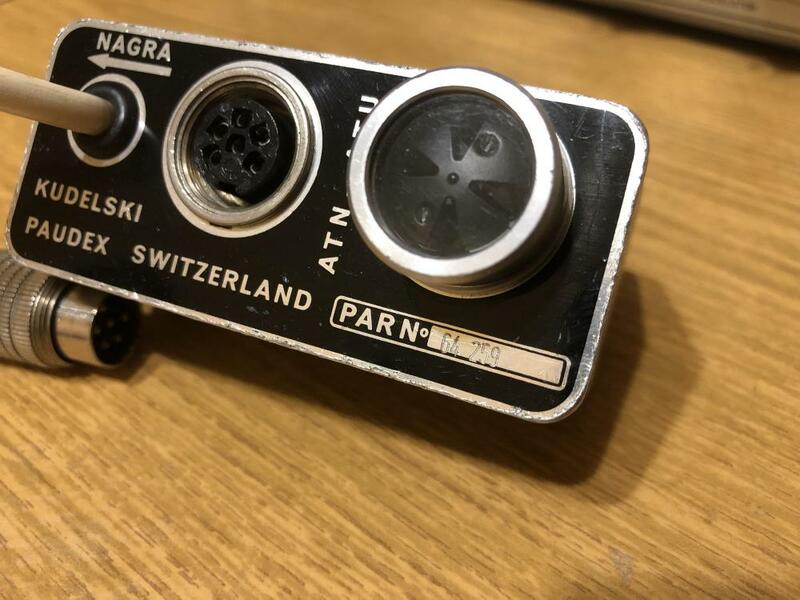 You may come across a JBR someday but you may never find the Nagra CST adaptor. I do not know this seller. What Ido know is what I wrote below. 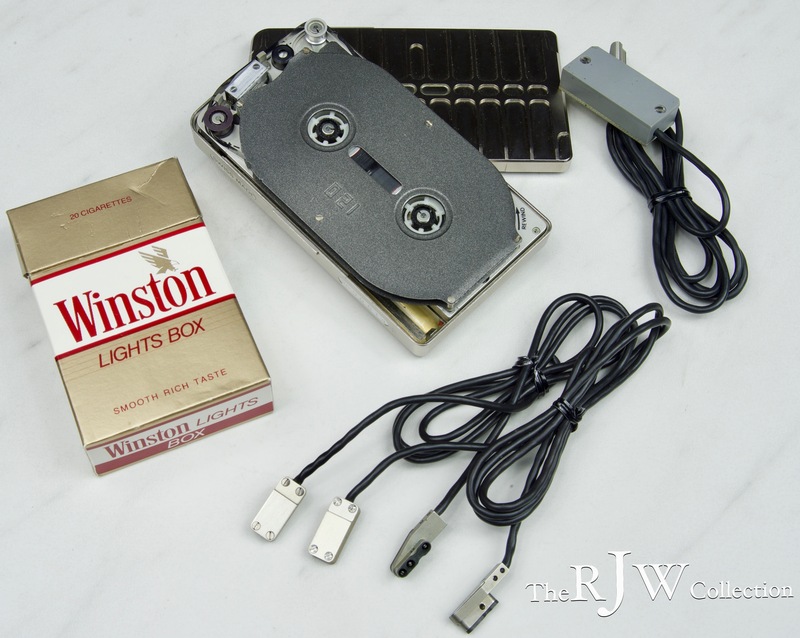 This adaptor is what the FBI had to use (for two years) to play back a JBR cassette. Seller states "Nagra SN permitting playback in "the field" without the large JBR playback unit"
That was not what this adaptor was built for. This adaptor could not reproduce any of the features the Nagra PS-1 could. It was only a stop gap to get by until the advanced PS-1 was finally developed. 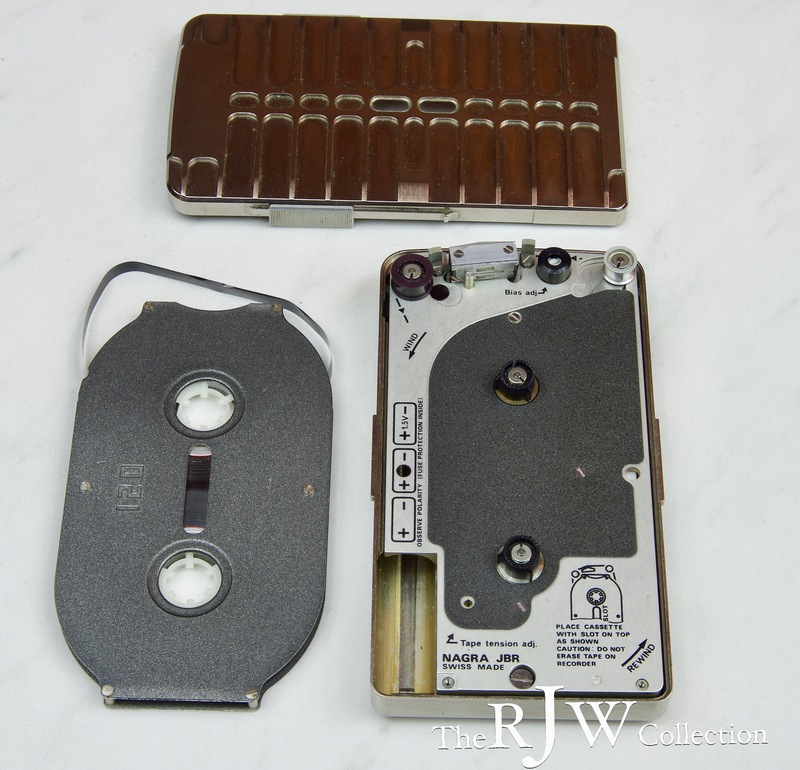 The Nagra JBR (Junior Body Recorder) was perhaps the most needed covert recorder advancement of the time when it was introduced secretly to the FBI in 1984. It was a joint venture between Nagra and the FBI and 2 other three-letter agencies of the U.S. The aging SNST was still in use at the time and still very popular, but everyone "in the know” knew how to detect someone using the SNST. The SNST was large and cumbersome for one to wear secretly on their person. Not to mention the person on the other end of the conversation most likely was using an advanced tape recorder detector of that time. A smaller-sized harder to detect recorder was needed so Nagra, with the help of (James B. Reames* of the FBI ) developed this smaller, harder to detect covert recorder, possibly the most secret recorder ever contracted. 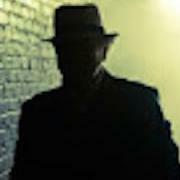 1958-1990 Federal Bureau of Investigation Washington, D.C. Responsible for the analyses of audio tapes to improve intelligibility, to identify non-voice signals, and to determine authenticity of magnetic tape recordings submitted by Federal, State, and local law enforcement agencies. Also involved with the FBI’s Tape Enhancement Laboratory, Tape recording Capability, Research and Development Activities, Technical Security Counter measures programs and Tempest Programs. The project was kept highly secret, even to the people who would eventually be the ones using the new JBR, for reasons to also weed out any bad characters even within the government agencies themselves. The recorder could now be used to expose people that knew how to detect the SNST and other recorders of the time. They certainly would not be suspecting the new hard to detect JBR. The complete project was spelled out from the beginning, the JBR recorder along with the advanced universal playback unit called the PU-1. The proposed PU-1 was designated to be a “Playback Universal Unit” to be able to play back the SNST reel tapes and a JBR cassette (a multipurpose unit). The JBR and Playback unit was very advanced technology at the time that was never realized before in a recorder of this size. 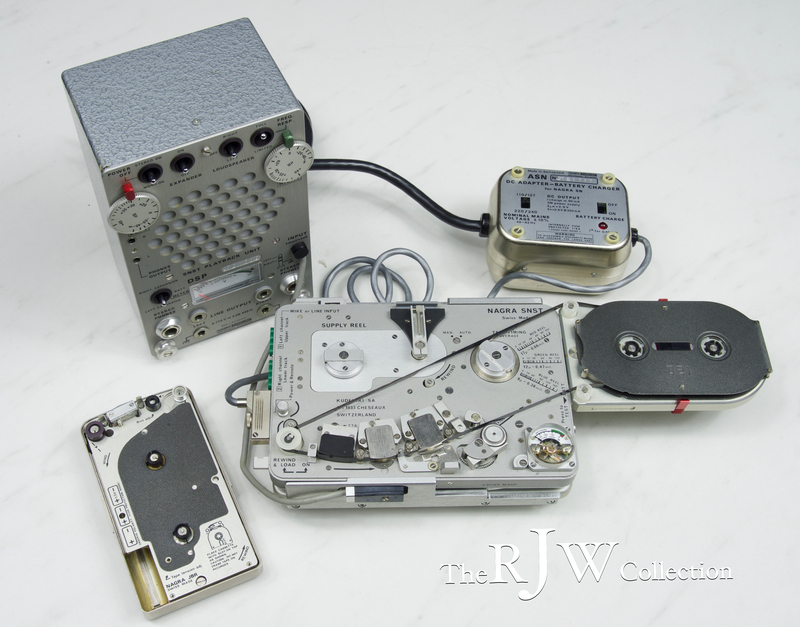 Since the JBR recorder was easier to develop, the JBR and the playback unit were not ready at the same time. Due to time restraints, the JBR was delivered to the FBI without any means to play back the recording. As the JBR recorder started to be used in the ﬁeld, the playback unit was still in development. There were many delays as this “new” technology was being developed. The center control track on the JBR was to speed correct the tape since it didn’t have a pinch wheel. The speed of the tape and motion while worn were not going to be an issue because of the control track. Everything was thoroughly thought out in advance, except for the delays. The customer now had “ evidence tapes” and no way to reproduce them, due to the lack of any available playback device. Called the CST to work in conjunction with a common SNST to playback the recorded JBR cassette. This adaptor was one thing that was not in the original plans. But it was a way to play back the recorded JBR tapes while the advanced playback unit was being developed. This was not a cheaply put together adaptor it was made in the same fine quality like any other Nagra product. Its almost as Nagra knew it was going to be awhile before the “PU1” would be ready. The tapes did not have any speed correction since the SNST host machine didn't have the capabilities to read the control track. Because of the speed issues and Wow & Flutter, the customers started questioning the quality of JBR recordings. Of course, it wasn't fair since the whole concept hadn't been realized yet. No PU-1 or PS-1. The SNST would slide on top of the SN housing and lock securely in place, and the folding arm would swing out and hold the JBR cassette also locked securely. 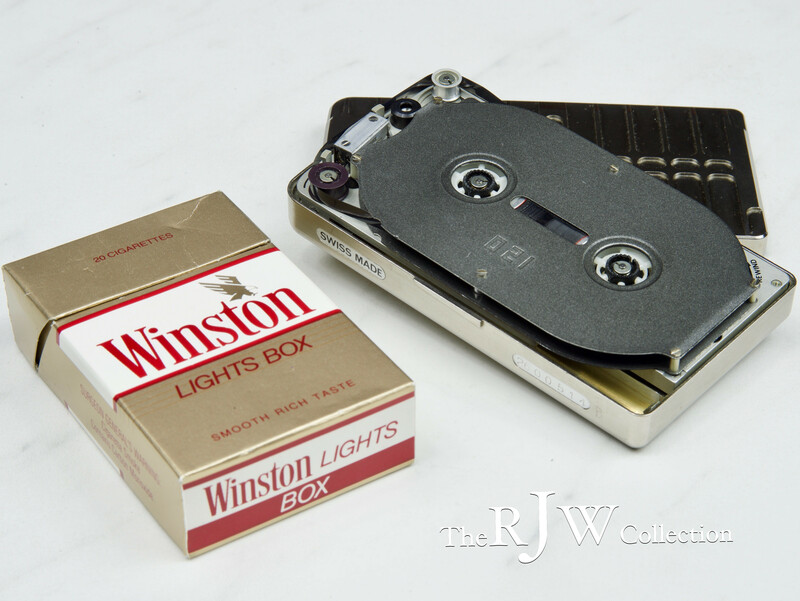 Underneath the cassette was a fold-out rewind crank like on the Nagra SN for manually rewinding the JBR cassette. It was very well built. Nothing speaks vintage Miniature Covert Recorder like this set up in playing back the recorded evidence tape. It just goes to show in this clandestine world, you gotta do what you gotta do. Bottom side with the manual SN rewind crank, this is also used to remove any slack in the tape. 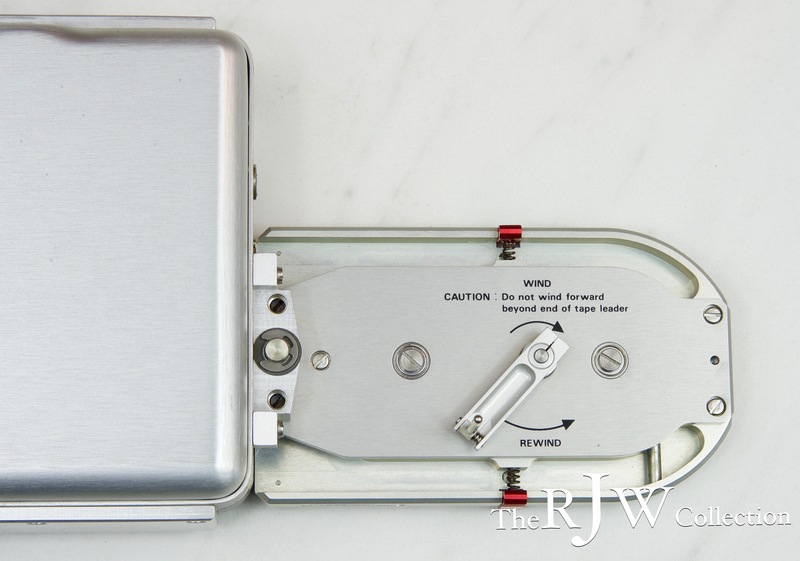 The JBR cassette mounting plate swings open and locks, the SNST slides and locks into place. Add the DSP playback amp and this was the first playback setup before the Control track Filter was developed, you can see it was a continuous work in progress to satisfy a growing impatience customer. The Control track Filter is just a small box that fits between the SNST and the DSP playback amp. and the ASN power pack. So the CST adaptor was used without the Control Track Filter for almost a year before the filter was developed. Together they completed the setup required to play back JBR tapes in its early years. This was the only means available to play back a recorded JBR tape for two years. The PU-1 dual use playback unit that plans called for an SNST and JBR combination unit was scrapped and never realized. In 1986, the PS-1 playback unit as we know today was ﬁnally delivered to the FBI For the ﬁrst time since the 1984 delivery of the Junior Body Recorder the full potential of the JBR system was ﬁnally realized. The harder to detect recorder was only one part, but the advancements made in the PS-1’s capability in enhancing the playback sound was just amazing. Either Nagra or the FBI dropped the planned universal dual playback (PU-1) for whatever unknown reason. The JBR - measuring only 4½” by 2½ - with the PS-1 playback system was the smallest most advanced analog recorder system ever produced. One of the hardest stumbling blocks of using past covert analog recorders, including the SNST, was the ability to capture clear quality evidence recordings consistently. This was now made easier thanks to the adjustable JBR playback system of the mid-eighties. It was all so secret and no one could speak about this advancement in reproducing analog recordings. Of course, digital soon took over, and another Covert Recorder quietly and without fanfare goes down in history. 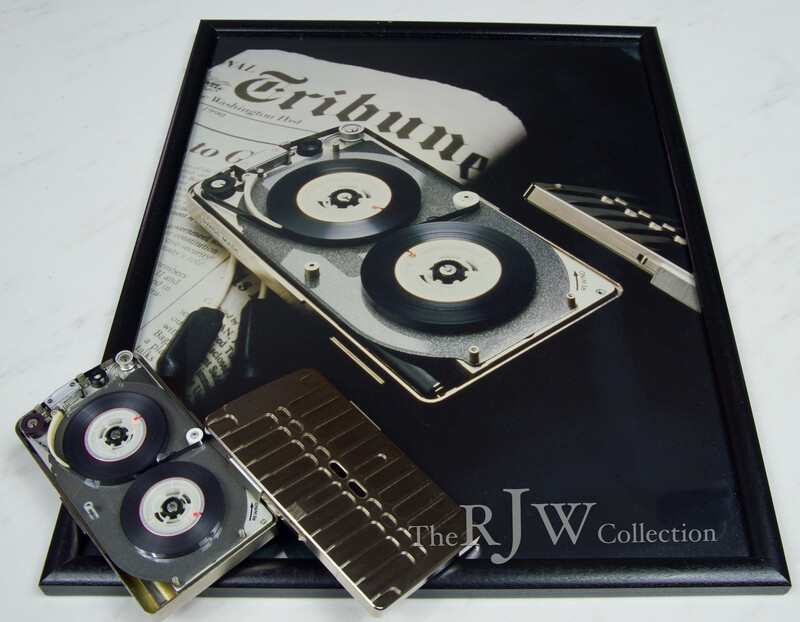 An original Nagra JBR advertising poster showing a JBR beauty shot, with the cassette cover removed to show off Nagra’s reel to reel covert recorder roots. This extremely rare poster from 1990 was meant to be used for advertising the JBR at Intelligence trade shows, but its use was short lived as Nagra was informed not to advertise the JBR. The reason was stated to me below. Oops! The old error in the listing take down line. Thats too bad, I would have liked to see what it would go for. I guess that backfired on me. Sorry if anyone saw that auction and bid on it before I posted about it. Either he is going to realist it or someone got to him. Seller relisted at USD1000 and sold it. Too bad as I was watching this and hoped to bid on it on Monday before the end of the auction. Haven't seen one come up on the Bay before.